During his time at Normandy, Scott wrestled from 1971 to 1973. In his senior year, Scott was voted as the team’s Most Valuable Wrestler. He wrestled Varsity at 98 lbs in 1971, 119 lbs in 1972, and 138 lbs in 1973. In the 1970-71 season, Scott was a District Qualifier, wrestling at 103 lbs. 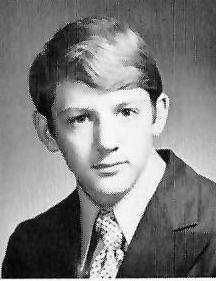 In the 1972-73 season, he finished second in the Sectional Tournament, wrestling at 138 lbs. In his senior season, Scott finished runner up in the state tournament. His head wrestling coach, Jim Kalin, described Scott as a person who was aggressive and never gave up no matter what the situation. He identified him as a wrestler who made great adjustments as he progressed as a wrestler over every year. Scott started as a lightweight and grew into an upper middleweight. He became one of the most tenacious wrestlers in the program. Coach Kalin also felt that Scott grew and prospered a great deal from working with his older brother and fellow wrestler, Fred Braun. Scott continued his wrestling career at Kent State University.